Sign up on the Facebook event or email Maxine Bailey at volunteers@howardarea.org to attend by April 12th! 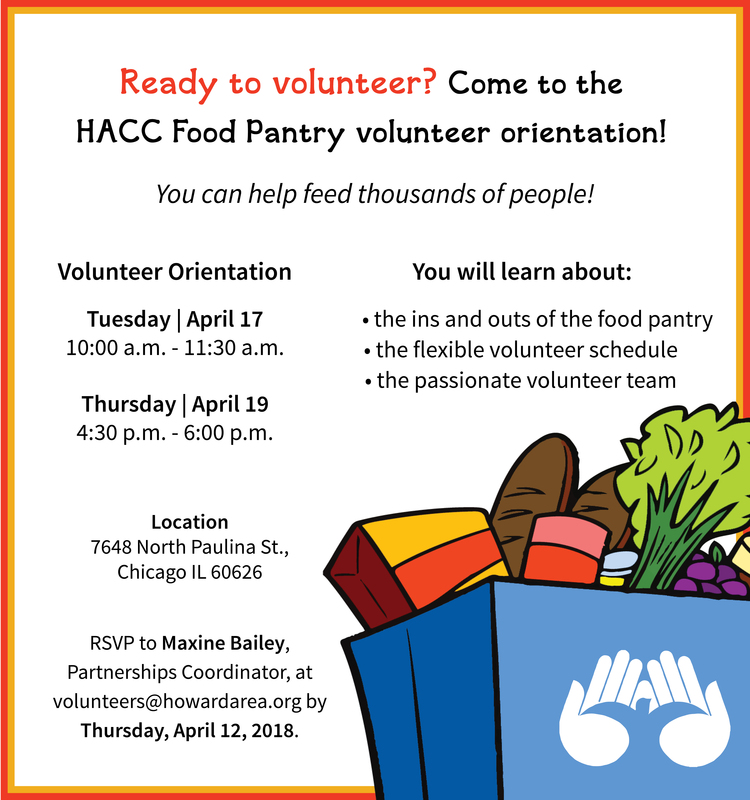 HACC relies on over 700 volunteers every year to help Rogers Park children and families receive life-saving services. 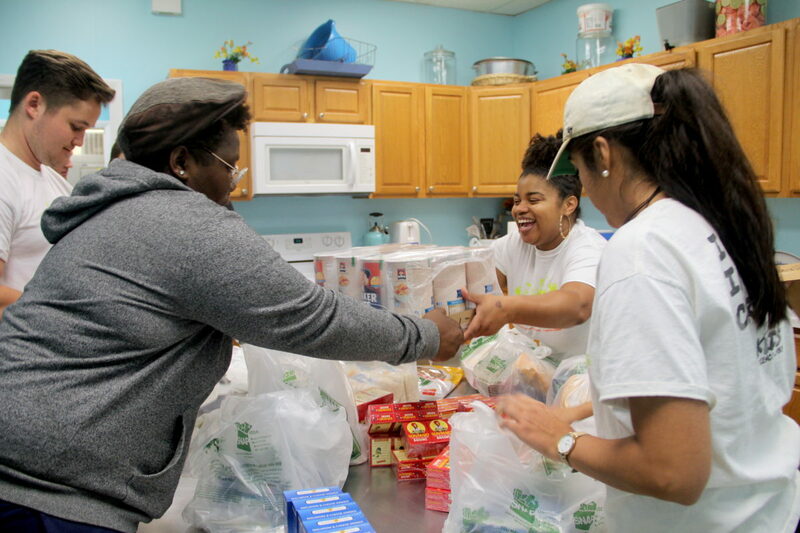 One way that you can join our incredible volunteer crew is by coming to the Food Pantry Volunteer Orientation! *Check out the incredible impact of HACC volunteers in this article about an adult education tutor!